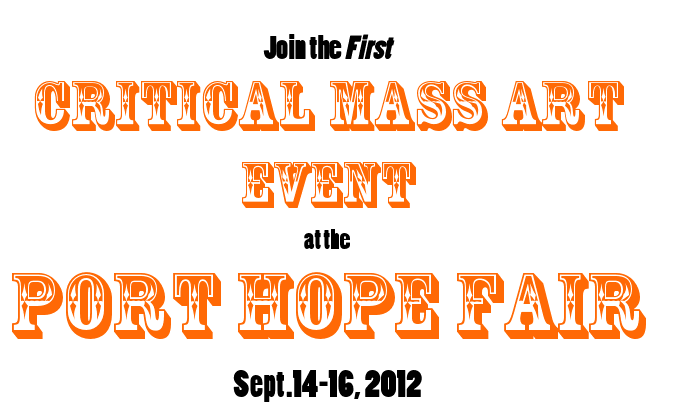 Critical Mass is thinking outside the Jam Jar and inviting artists to join in as exhibitors at a traditional fall fair. Feel free to enter an item in any category you’d like: i.e., Baking, Canning, Handcrafts, Needlework, Fruits and Vegetables etc. : any category except art or photography! As you’ll see here, rules for the entries are extremely specific. You can choose to break the rules for materials and/or dimensions and your entry will be exhibited anyway but marked DISQUALIFIED, the rural equivalent of a Salon des Refusés. (One year, a local man entered a beautiful wooden quilt. He was disqualified. We’ve got a precedent to live up to!) Alternatively, you can challenge yourself to make art while remaining within the prescribed guidelines for dimensions and materials. Or, if you are feeling nostalgic (deluded?) 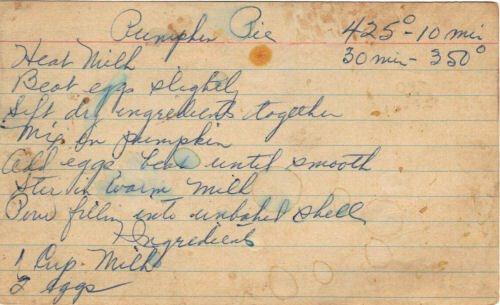 and think that your pumpkin pie or glazed lemon loaf has any hope in competition with Mrs. Brown’s, by all means, go traditional and bake it straight. Judging is blind so it won’t be until after the winners are chosen that your name and your affiliation with Critical Mass will be revealed. The entry fee is $7, which will automatically make you a member of The Port Hope and District Agricultural Society (great for your CV!!!) and give you free entry to the fair all weekend long. 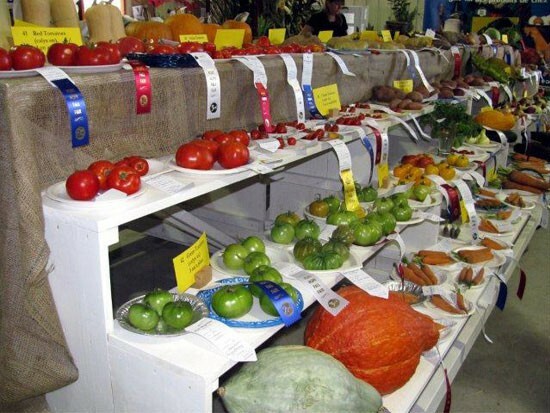 All Ontario residents are eligible to enter, but as is typical at regional fall fairs, submissions are usually very local. We’ve been in touch with the Board of Directors of the Port Hope Fair, and have been welcomed with open arms. The Judges know that there will be some new entrants, and we are all excited to see what might happen when Critical Mass artists engage with the Port Hope community for the first time. Click here for information on the exhibition categories, and to print off your entry form. Be sure to include CRITICAL MASS after your name on all forms. For those who cannot bring your work to the fairgrounds on the prescribed dates, there will be a location in Toronto for drop off on Sept.13. However, we need to hear from you ASAP so that we can be prepared. Send us a note with “Fall Fair” in the subject line. We’ll add you to our subscription list, and keep you updated on plans (which may include an Artist’s Pot Luck party on the final night). 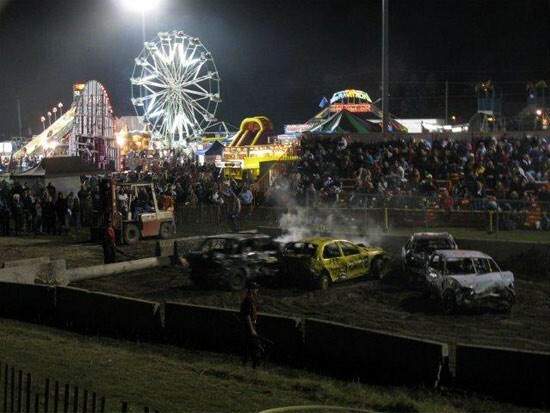 ALSO: “Pumpkinfest” is the theme of this year’s Fall Fair. Critical Mass has been offered an indoor space and a budget of $75 to create an installation, or performance, or workshop…anything at all as long as it somehow relates to pumpkins. Ideas, anyone? Pass this invitation on for greater critical mass! Click here to read about the Critical Mass Vision and Mandate. 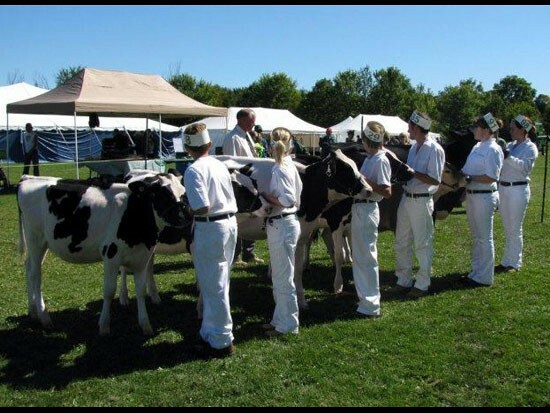 This fair is entering its 182nd year, making it one of the oldest continuously running agricultural fairs in Ontario. It is the Real Deal and everything that should be there, is there: prize ribbons for baking, canning, crafts and needlework; shows of goats, poultry, horses, cattle and pets; 4-H Clubs; demolition derby, tractor pull and vintage cars: honey exhibits and field crop displays, musicians and jugglers and of course, the midway. Port Hope is on the shores of Lake Ontario and is one hour east of Toronto by car or VIA Rail.